1. The tenant will not pay the rent. 2. The tenant will damage the property. Unfortunately, even experienced landlords find that this is the case, and very often the two come in tandem! A new report has found that it takes an average of 118 days for court-appointed bailiffs to remove tenants from private landlords’ properties after bringing a claim to court. London is where it takes the longest to get a tenant removed from a property, and it does vary from region to region. 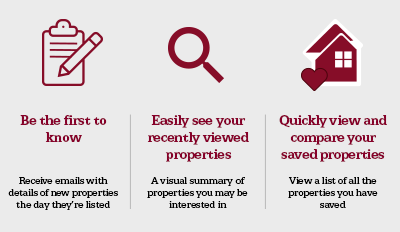 Landlords can see at a glance how their region fares here. Whilst this does sound a significant number, it actually only equates to 0.5% of landlords making a possession claim in court, and only a third of those had to resort to using bailiffs. There are three costs involved in all of this – financial, emotional, and time. On the financial front, it costs between £1,500 to £2,000 in court and legal fees to evict a tenant. Added to that is the length of time the tenant remains in the property without making rental payments. 118 days is approximately 4 months, so if we consider an average BTL mortgage payment of £500.00 per calendar month, then it could mean paying £3,000 in mortgage payments without receiving any rent, taking into account the 2 months of going into arrears before being able to issue a S21 notice. So, it could amount to between £4K and £5K in costs to evict a tenant. Then there is the emotional cost. It can be stressful for a landlord to have to evict a tenant and that stress can endure for many months. Many landlords do not consider the cost of emotional stress. It is hard to put a price on it, but stress can impact many other aspects of your life. The final cost is time. The landlord will need to provide paperwork to the company undertaking the eviction and they may also need to attend the court hearing, as well as the actual eviction. So, based on the above, its understandable that no landlord wants to have to go through the pain of evicting a tenant! This is just one of the reasons Northwood’s guaranteed rent service is becoming ever more popular. We guarantee the rent, whether the property is tenanted or not, and if the tenant stops paying the rent. We also cover the costs of getting a delinquent tenant evicted, and handle all the paperwork. When a landlord gets involved in BTL, they take on the risk of the tenant not paying the rent. However, our Guaranteed Rent removes that risk from the landlord completely. Clearly, we will not pay the full market rent value, but, when you consider six months of lost income, then our Guaranteed Rent service makes perfect sense on all fronts – financial, emotional, and time. It is particularly suited to amateur landlords, long-distance landlords, and those landlords who have busy careers who simply want to “let and forget”. • During 2017, private landlords brought 21,439 possession claims to courts in England and Wales. • 27% of claims didn’t receive a court order. Many claims are rejected for failing to follow the correct eviction proceedings. • The average insurance payment made for eviction support is £4,341.22, which includes legal expenses and lost rent. • Landlords in London are more likely to have to evict a tenant, the figures show. Buy-to-let investors in the capital brought 195.3 claims per 100,000 households last year. • Landlords in the South West of England were least likely to bring eviction proceedings to court, with 58.9 claims registered per 100,00 households, followed by the North East and West Midlands. We really couldn’t ask for a better advertisement for our Guaranteed Rent service! It’s the choice of over 13,000 landlords and has been giving landlords complete peace of mind for over two decades. Each Guaranteed Rent quote will be bespoke to your property and your area, so speak to your local Northwood office, especially if you don’t want to be included in the next release of the statistics above!